[Update] In another video from PAX East 2017, one rep mentions a possible PC release of the Crash Bandicoot N. Sane Trilogy. 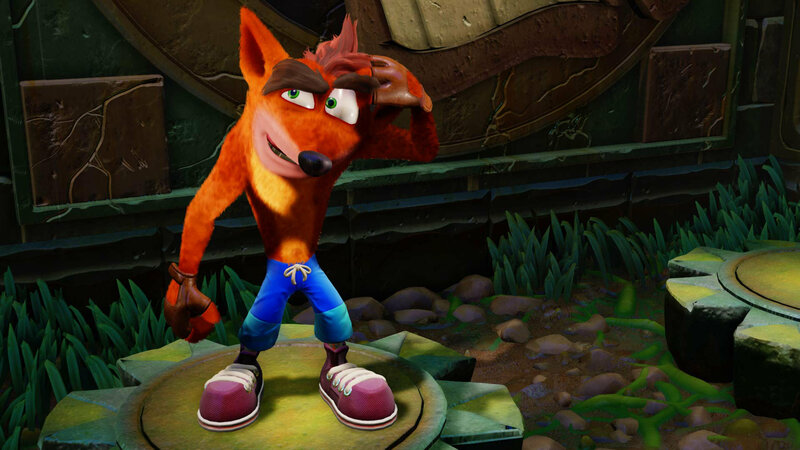 [Original Story] Crash Bandicoot N. Sane Trilogy, the collection including the first three entries in the series originally developed by Naughty Dog, is still somewhat far from release, but it looks like work has been proceeding smoothly, judging from the impressions that have come following PAX East 2017. If you haven’t been able to attend last week’s event, but still want to see how Crash Bandicoot N. Sane Trilogy is coming along, you definitely have to check out some off-screen gameplay footage which has emerged online a few hours ago showcasing the glorious classic platforming action featured in the three games. You can check out the video below. Last month, Activision confirmed that Crash Bandicoot N. Sane Trilogy will release in all regions on June 30th. Your favorite marsupial, Crash Bandicoot™, returns on June 30th, 2017! He’s enhanced, entranced & ready-to-dance with the N. Sane Trilogy game collection. Now you can experience Crash Bandicoot like never-before in Fur-K. Spin, jump, wump and repeat as you take on the epic challenges and adventures through the three games that started it all, Crash Bandicoot™, Crash Bandicoot™ 2: Cortex Strikes Back and Crash Bandicoot™: Warped. Relive all your favorite Crash moments in their fully-remastered HD graphical glory and get ready to put some UMPH in your WUMP! Crash Bandicoot N. Sane Trilogy launches on PlayStation 4 on June 30th. We will keep you updated on the game as soon as more comes in on it, so stay tuned for all the latest news.